The Japan Times has the first detailed account in English about Haruko Obokata’s new book, “That Day”. HT to blog reader Shinsakan. (update: another helpful piece on this from the WSJ). In the book, Obokata (who was widely blamed for the STAP cell fiasco) seeks to shift the blame to others according to the paper. 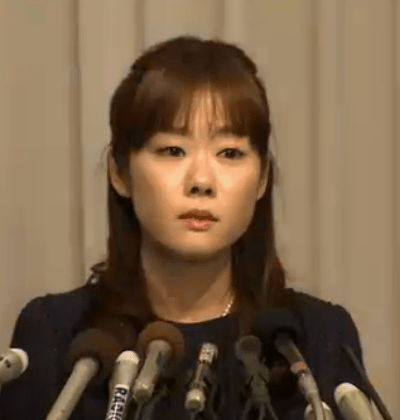 Obokata’s book just came out and you can see more details here. To my knowledge there is absolutely no evidence to support this claim. I still haven’t heard if the book mentions one of Obokata’s other mentors, Charles Vacanti of Brigham and Women’s Hospital. To my knowledge neither Obokata nor Vacanti have been publicly critical of each other since STAP erupted. Still no mention of BWH/Vacanti. Still no answers for why not a single other lab could replicate the phenomenon. Still seems to mostly consist of finger-pointing at Wakayama (who voiced suspicions regarding the paper early on and was the first author to suggest that the paper should be retracted). I would be interested in hearing more details about how/why she thinks that she was framed or that Wakayama was involved, but no further details are given. Regardless of who was responsible, though, the ES/STAP swap still does not account for the other data problems in the manuscript that can be clearly attributed to her or the ultimate lack of reproducibility of the findings even at the basic cellular level (i.e., before Wakayama came on board presumably to make chimeric mice). Waseda dissertation: How do you accidentally file a totally different “previous draft?” Who doesn’t at least skim every page before printing/filing? Regardless, even if she really did just file the wrong draft, shouldn’t she have had the final draft saved? They gave her the chance to refile, didn’t they? Couldn’t she just simply have printed up the correct final draft and filed it? Even if the final draft were somehow lost or not saved, if it were only a matter of updating a previous draft, couldn’t she just have re-written the defective or incomplete parts and relatively easily re-submitted? STAP naming: Who cares who named STAP? Pressure from media: Yes, it was terrible, but is that really an excuse for not being able to replicate the findings, especially when the technique was promoted as being so simple and easy, when she said that she had done it hundreds of times and was very familiar with the technique, and when no other labs in the world, even those with more stem cell expertise, were able to replicate the findings? For that matter, how is it possible that after the supposedly hundreds of times she had created these cells, none were left frozen down in either Boston or Kobe, such that she was required to make all new ones for the final replication trial? Without actually reading the book, it is impossible to really tell, but these summaries seem to raise more questions than they answer. I guess we could speculate about why she wrote the book. Perhaps it’s just to make some money- publicity, good or bad, attracts money….just ask Donald Trump.